CMC Markets is one of the largest and leading global online brokers. Since 1989, this provider has been active in the trading segment and since 1996 has its own trading platform on the Internet. The head office is located in London, but a branch office is also located in Frankfurt. CMC Markets is under the control of the British Financial Supervisory Authority (FCA) and is thus a safe and credible online brokerage provider. The well-developed and well-structured trading surface, the numerous account types and different offers for action ensure customer satisfaction. The support and the diversity of the types of trade also meet high demands and offer some advantages to beginners as well as to experienced traders. CMC Markets has been present on the market for 20 years but continues to develop and offer users a wide range of trading options. 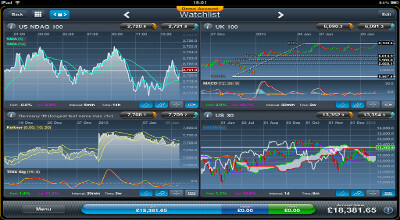 The latest additions include the mobile apps available for iPhone and Android as well as iPad users. There is an integrated chart pattern recognition for all assets and can be called up in the form of statistics. Users can customize the view of individual parameters to their needs and choose between different designs. The comprehensive chart of over 50 candle charts, Comparison charts and the numerous news and analysis tools ensure risk protection and allow market activities to be monitored in real-time. The fully automatic execution of orders can take place and, for example, put a targeted trading out of the charts onto the plan. Users can create their own watchlists and access current news directly from the Reuter Ticker. The good risk management is based on the possibilities Stop Loss, Trailing Stop and Take Profit, as well as some other features. The chart intervals could be between one second and one month. If you want to act on a mobile basis, you do not have to reorient yourself in the functions and offers. The interface on the smartphone comes with responsive design offering the same details as the web-based application. One of the most innovative tools is the Portfolio Mixer, which allows each trader to optimize his or her own portfolio and align it in a few steps to their personal preferences and the market situation. This means that individual products can be compared with the overall portfolio at a glance and compared with each other. The Factsheets Tool is also a useful trading tool and provides basic information on the financing rate and the highest tradable derivative. With a portfolio of more than 340 pairs of currencies, each trader can choose precisely the offer in which he senses security and realistically assesses the market situation. In addition, the low spread, for example for the EUR / USD pair with 0. 7 pips can also be traded on a small budget. The required margin is an average of 0.2 percent, resulting in a maximum leverage of 1: 500. In the case of the CFD trade, more than 10,000 products in the form of government bonds, currencies, listed companies, and commodities, as well as numerous indices are offered. Various instruments can be used for stock trading. The level of the spread is determined by the popularity of the individual financing instruments in CFD trading. New customers can choose between a demo account, and a real trade account or live account. After the decision, the user has to accept the risk warning and confirm the instructions with one click as noted. Subsequently, the personal data as well as the financial background and the existing knowledge in the trading are requested and must be entered by the user in the fields provided in the form. An email for confirmation goes out to the customer and contains again all the data, as well as the agreements and terms. These require confirmation. 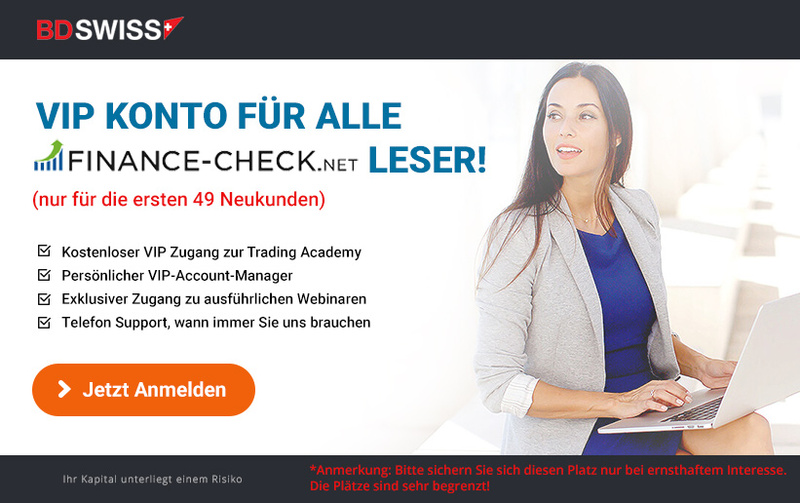 After the verification of the user, the trade account can be activated via an activation link, which is sent via email. The opening of the trade account does not require a minimum amount, whereby the amount can be chosen by the user himself. It is important to note that the bank transfer times can be long, and the arrival of money at CMC Markets can take three to five business days. For deposits made via the credit card, the amount paid is immediately available and can be used. The payouts are executed via the same account, which the user made the deposit on his trading account with. Again, a transfer takes several business days, while the usage of the credit card allows transfers in real time. Each transfer is secure and is done via an encrypted server. If a user has received a bonus offer and would like to make a use of it, disbursements before the full fulfillment of the sales conditions are not possible and lead to a withdrawal of the bonus. For all emerging questions, support is available around the clock and can be contacted by email, chat or by phone. Through the CMC Markt branch office in Frankfurt, the platform offers a German-speaking support. Regulation on FCA is geared to European legislation and offers users of CMC Markets a broad portfolio of collateral for deposits, as well as trade and transfers between the platform and its own reference account. Even if the broker does not have a classic bonus program, active users can get some benefits and get offers for refunds. CMC Markets is a reputable broker, Which has a transparent and well-structured platform, as well as many years of experience and competence in providing CFDs and Forex. Despite the clear structure and presentation of the platform, there may be occasional questions that German-speaking customers will be able to get an answer to in their mother language and choose the communication channel. Experienced users and beginners will find a broker in CMC Markets that can be individually tailored to their needs and configured freely in their own preference. Innovative trading tools, real-time charts, and helpful tools simplify trading and create new possibilities. An enormous advantage is the wide range of the trading options, which, in addition to currency pairs and CFDs, also include government bonds and equities of listed companies. The account opening and deposits are simple, in a few minutes possible. If you use your credit card as a reference, you can make all transactions between the platform and its own account in real time and avoid queuing through the bank procedure. CMC Markets is suitable for the mobile trade via the smartphone and the Tablet PC. The identical interface prevents mistakes and makes the trade on a small display just as easy as the user of the laptop or desktop computer.